Silencio toys with fascinating ideas and sports some solid performances, but is ultimately dragged down by a mediocre narrative. Silencio is the second feature film from director Lorena Villarreal, who last helmed a project back in 2004 (Las Iloronas). Drawing inspiration from Mexico’s real-life Zone of Silence (a place that has captivated scientists for many years), it aims to blend high-concept genre fare with emotional family drama in an effort to stand out from the higher-profile offerings this fall. Since this is such a small release, expectations for the film aren’t exactly high, but there was still hope it could tell a fascinating story. On that front, it’s a bit of a mixed bag. Silencio toys with fascinating ideas and sports some solid performances, but is ultimately dragged down by a mediocre narrative. 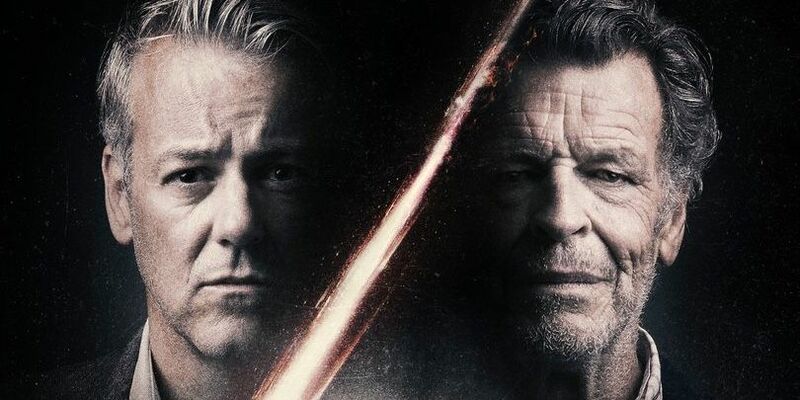 In the 1970s, Dr. James White (John Noble) and his younger assistant Peter (Nic Jackman) are among those investigating the Athena test missile crash in Mexico’s mythical Zone of Silence. The two collect samples of radioactive cobalt and plan to conduct tests on it, but are surprisingly transported back in time after James accidentally touches some. Finding himself at the scene of a terrible family tragedy, James is able to alter events and save his granddaughter Ana (Shayne Coleman), but watches in horror as the rest of his loved ones perish. Jump ahead to the present day and an adult Ana (Melina Matthews) works as a psychiatrist and cares for a senile James living out his last days. Unbeknownst to Ana, James made a deal to give a desperate man (Hoze Meléndez) the same magical stone he used decades ago. When the man comes to retrieve it and learns James doesn’t have it, Ana’s family is once again hit with catastrophe. In order to save her son Felix (Ian Garcia Monterrubio), Ana needs to find the stone. 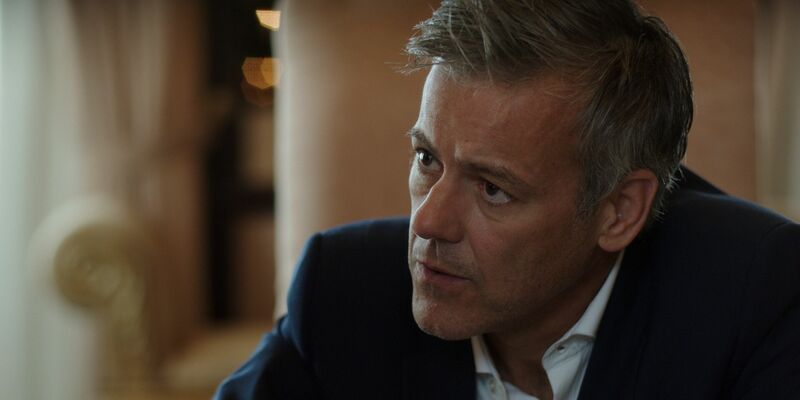 Calling upon the now-older Peter (Rupert Graves) for help, she embarks on her search. Villarreal’s script works with heady, but familiar, themes of fate and the consequences of changing the past. In this sense, it’s easy for viewers to live vicariously through the characters, constantly asking themselves what they would do in the same situations. Fortunately, that element gives Silencio a much-needed layer of intrigue, as the actual plot is fairly conventional in the beats it hits. And while suspension of disbelief is a requirement for a film such as this, Silencio’s story falls apart under close scrutiny, rendering entire subplots superfluous. The third act, which goes for shocking twists and poignant conclusions, will instead leave some scratching their heads over what they just watched. Doing the best they can to make up for any deficiencies in the screenplay are the cast members, in particular Noble and Matthews. The film efficiently portrays the touching dynamic between James and Ana, making the two feel like a close-knit family that’s been together for a long time. Several scenes are dedicated to fleshing out their bond at various points in Ana’s life and Noble has strong chemistry with both Coleman and Matthews. Granted, some of the dialogue in these sections can come across as overly melodramatic, but the actors commit themselves to selling it and give Silencio a genuine emotional core in the process. A handful of scenes with Felix early on further illustrate the family’s loving relationship with each other. Unfortunately, the supporting actors don’t fare as well. Meléndez’ kidnapper is essentially a stock character, doing a riff on a troubled youngster who gets well over his head. That isn’t to say the actor was miscast or gives a particularly bad performance, there just isn’t much for him to do with the material he’s given. The same can be said for Graves, whose screen time is too limited for Peter’s arc to land with the intended impact. To be fair, the Sherlock star delivers some powerful moments near the end, but the character as written is quite thin and illogical at times. Michel Chauvet also has a brief role as Daniel, one of Ana’s patients, though he’s more of a plot device to help move the story along than a fully-formed individual. As is the case with Peter, the script attempts things with Daniel that aren’t earned, making Silencio ring hollow at times. It may have been some time since Villarreal directed a film, but her eye for visuals remains strong. 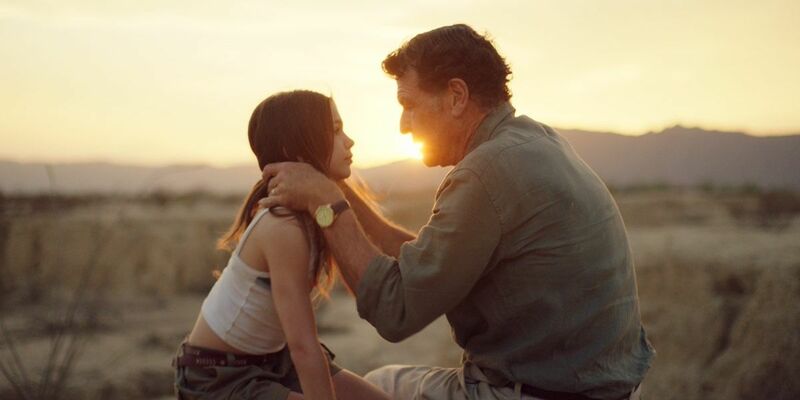 With an assist by cinematographer Mateo Londono, the sequences set in the Zone of Silence look beautiful on the screen, showcasing a different side of Mexico by highlighting its beauty and wonder. Some of them have a dream-like quality, adding an extra layer to the film. Villarreal also demonstrates skill in constructing suspenseful scenes. The viewer’s emotional investment will depend on how much they’ve bought into the narrative, but technically-speaking, these parts are effective and work as palpable thrills to complement the dramatic elements. And with a taut runtime, Silencio thankfully doesn’t overstay its welcome. With awards season underway and holiday blockbusters right around the corner, Silencio is far from a must-see this fall. However, those looking for something a little different may find something to appreciate in what it has to offer. It does try to challenge the audience by giving them tough scenarios to think about, and while it doesn’t reach its larger ambitions, it deserves credit for swinging for the fences. If anything else, viewers should have some interesting discussions after the credits roll. Silencio is now playing in U.S. theaters. It runs 98 minutes and is rated R for some violence.